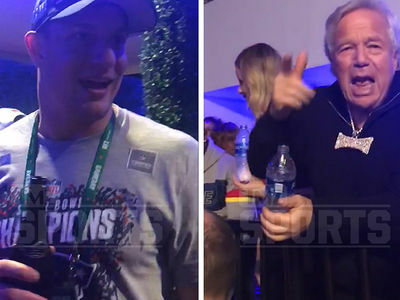 Tom Brady & Julian Edelman Hit Disney World After Super Bowl ... Lightsaber Fight!!! 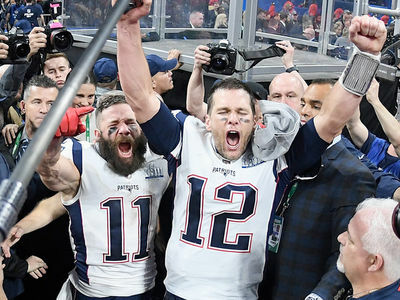 The happiest people on Earth are now at the Happiest Place on Earth ... 'cause Tom Brady and Julian Edelman have made it to Disney World after winning the Super Bowl!!! It's an annual tradition ... the big game's top players try like hell to fight off their hangovers and sleep depravity to make their way to Mickey's theme park to celebrate winning the Lombardi Trophy. This time ... the Pats' MVP (Edelman) decided to bring his QB along -- and they're clearly having a freakin' blast!!! The two have already hit up the Toy Story ride -- and had a great debate over who's Woody and who's Buzz Lightyear. They also got a little lightsaber-training in ... and you'll never guess which guy chose the dark side's red saber!!! Edelman and Brady will almost certainly be grand marshals in Mickey's parade through the Magic Kingdom later today as well. Seems like good practice for Tuesday's Boston parade ... but then again -- these guys have been there a time OR FIVE before.